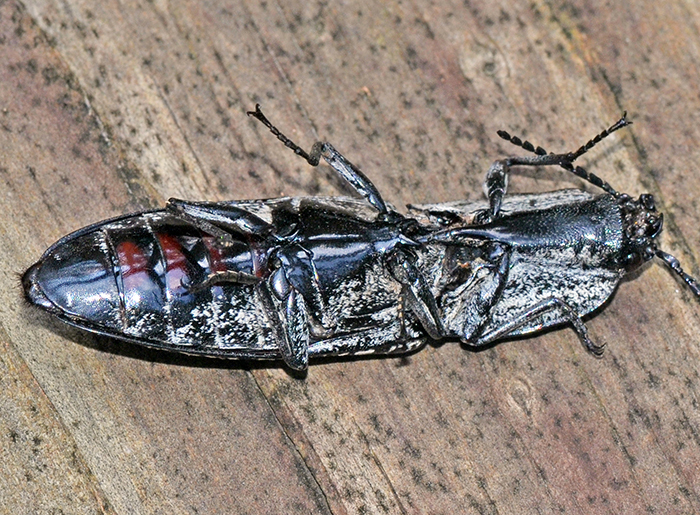 Alaus oculatus (Eyed Click Beetle). Size: approx. 45 mm. Photo: 07/29/18, 11 am. 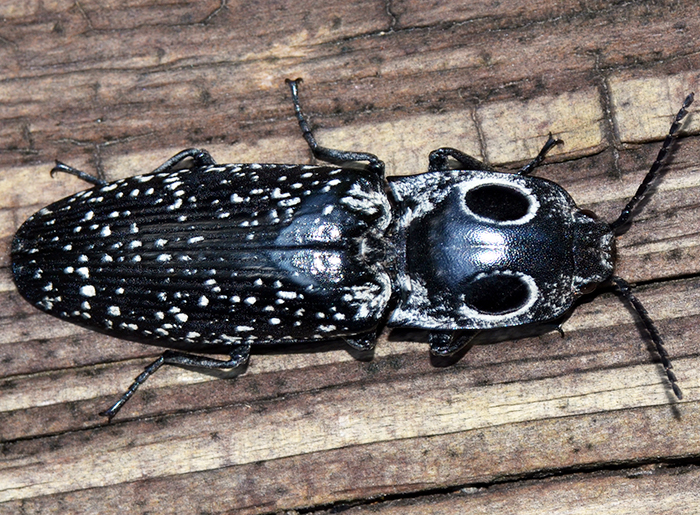 I'm excited to finally have a photo of the iconic Eyed Click Beetle. The large "fake" eyes are seemingly meant to intimidate or confuse predators. Its amber-colored larvae feed on grubs of wood-boring beetles. They have strong jaws and should be handled with care. The small photo shows the same specimen on its back. It actually stopped moving when it noticed me even after I turned it around.